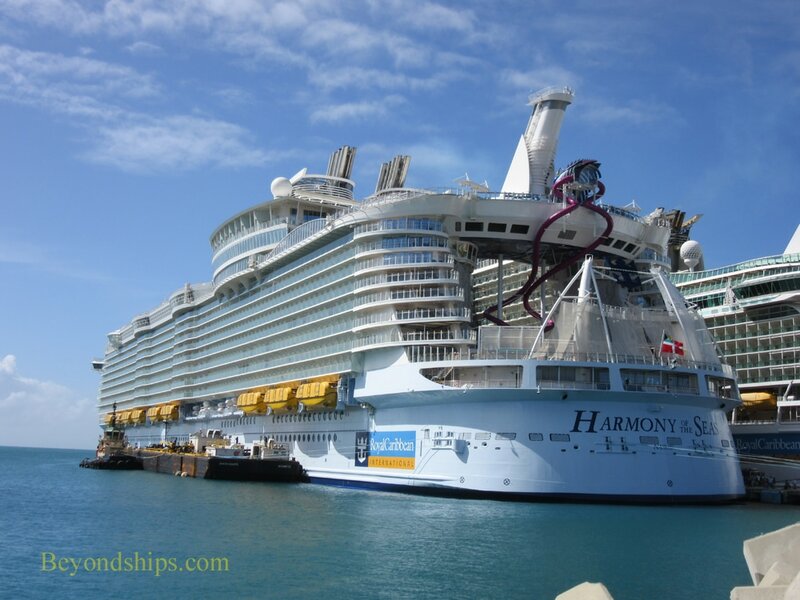 Above: Harmony of the Seas at the pier built with the Oasis class in mind..
St. Maarten certainly attracts the Royal Caribbean ships. 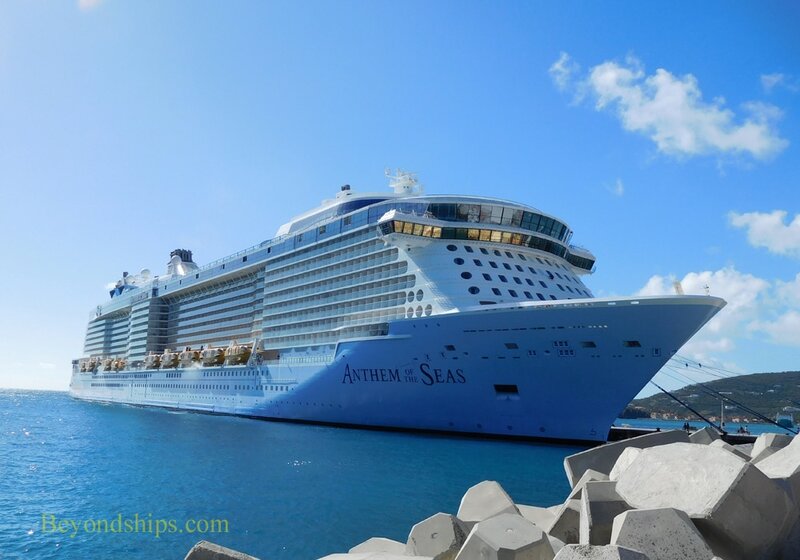 Above: Anthem of the Seas on a cruise from New Jersey/New York. 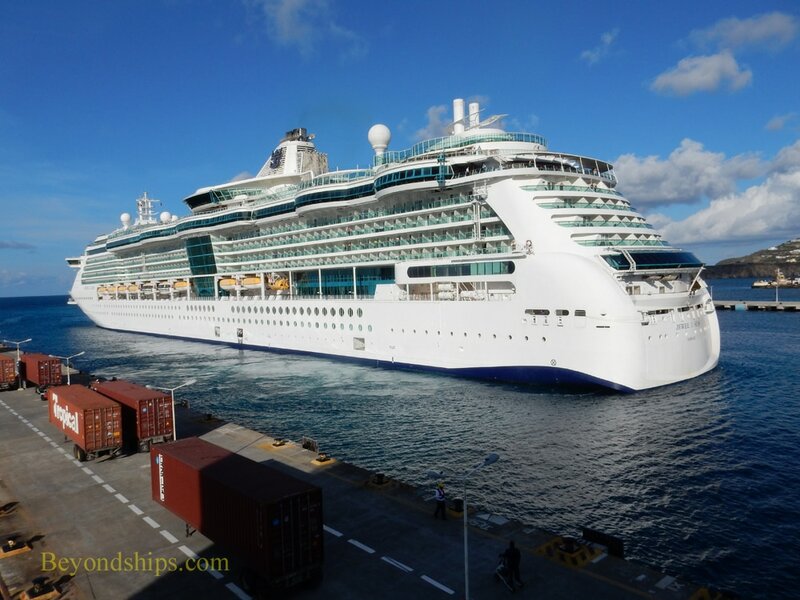 Right: Grandeur of the Seas out of Baltimore. 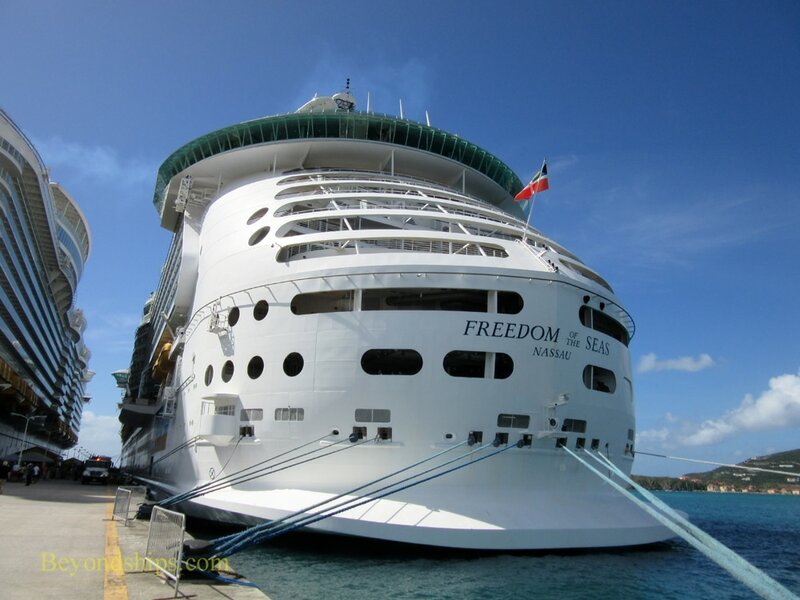 Below: Freedom of the Seas out of Fort Lauderdale. 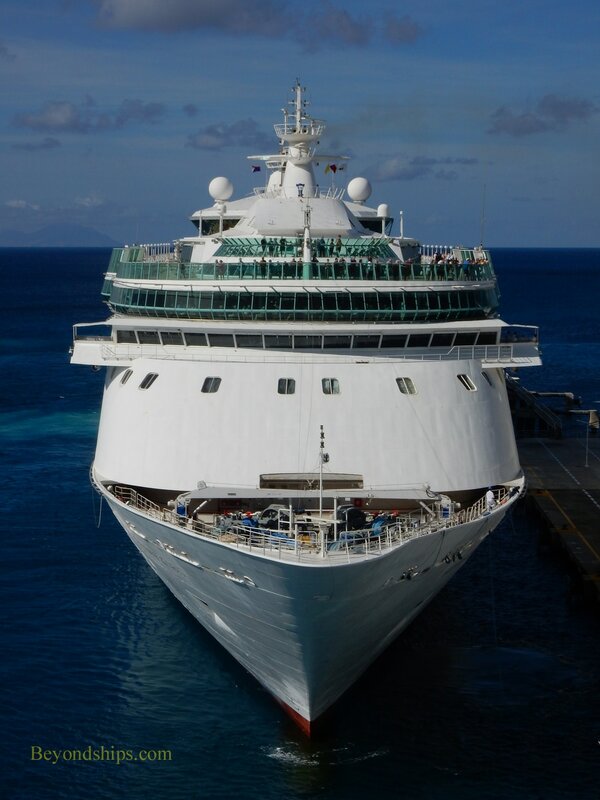 Above: Jewel of the Seas arriving in St. Maarten during a cruise that began in San Juan, Puerto Rico.